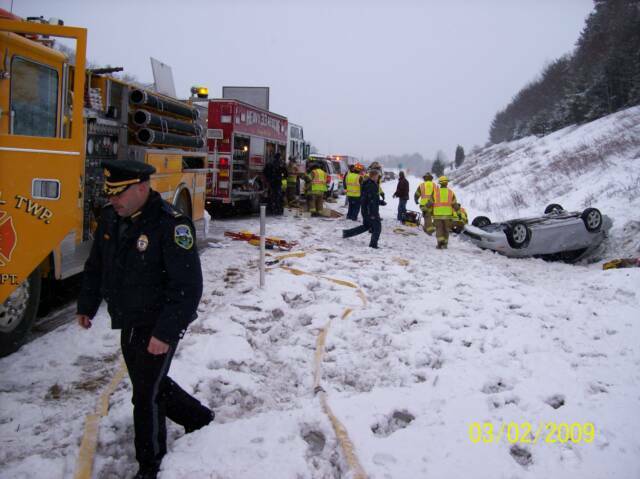 1/9/09 - WESTFALL TWP - The Office of the Pennsylvania State Fire Commissioner has announced today that the Westfall Twp Vol Fire Dept, Inc is a recipient of the combined 2008 / 2009 Volunteer Fire Company Volunteer Ambulance Service Grant Program (VFCVAS). 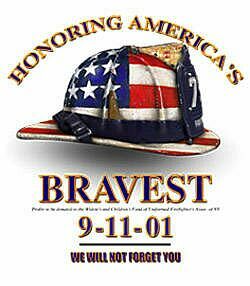 Our award totaled $14,977.26 and will be utilized to purchase new portable ladders, a new ambulance stretcher as well as debt reduction on our 2007 KME tanker. the Matamoras Fire Dept (Station 32) with a chimney fire on 9th street extension in the Borough. 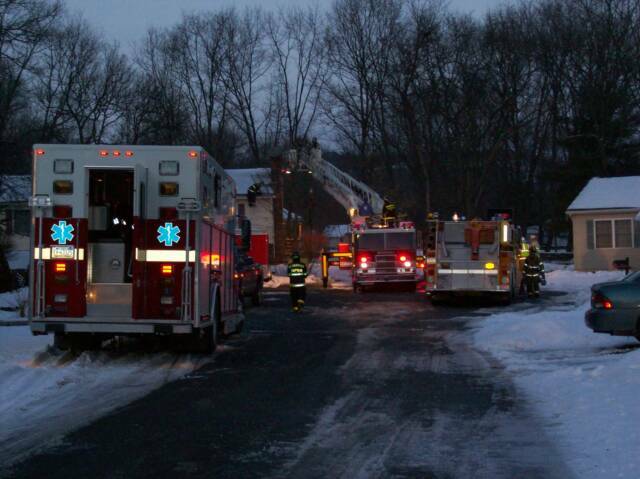 39 Engine 2 and 39 Tanker responded and assisted 32 Tower with unclogging the flue. All units returned to service at 17:09. 1/23/09 - WESTFALL TWP - Congressman Christopher Carney (D-PA) announced today the Westfall Twp Vol Fire Department Inc. has been awarded a $34,357 grant for fire operations and firefighter safety by the U.S. Department of Homeland Security (DHS). The funding was awarded in round 21 of the DHS’ 2008 FY Assistance to Firefighters Grant Program (AFG). With the funds awarded, we will be able to purchase new hose, nozzles, and bunker gear. 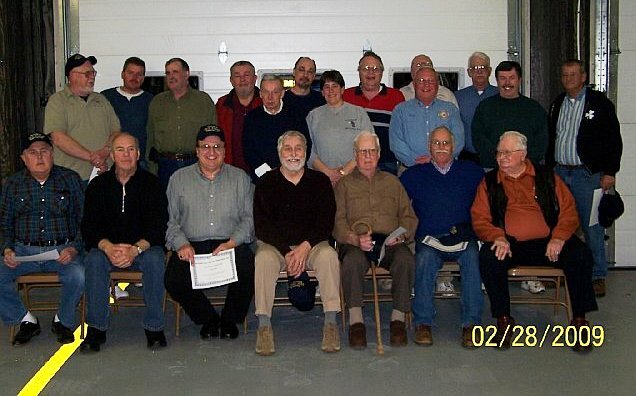 2/28/09 - WESTFALL TWP - After nearly 57 years of being in the firefighting business, there was no shortage of "War Stories" and "Remember Whens" for the Westfall Old Timer's". On this night, the members paid tribute to the Old Timer's with a sit-down dinner and presentions in their honor. 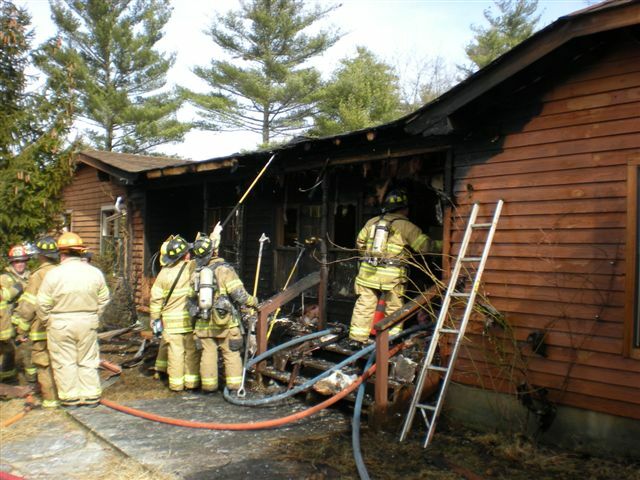 3/12/09 - DINGMAN TWP - At 13:54 hrs, 33 Command transmitted a 2nd Alarm for a working fire in a single story dwelling on Miller Rd requesting 39 Engine 1 and Tanker to the scene. On arrival, 39 Tanker set up a suppliy line to 33's Engine while the crew from 39 Engine 1 threw portable ladders and cut a ventilation holes in the roof. 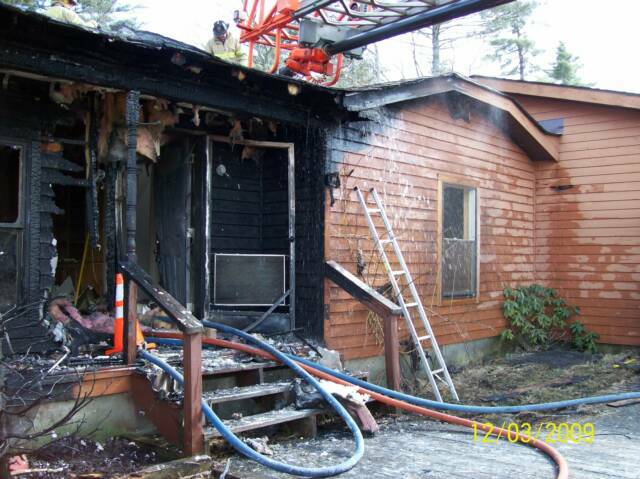 The fire was quickly contained to the front of the residence and actic space. After extension overhaul, all units returned to service at 16:10. 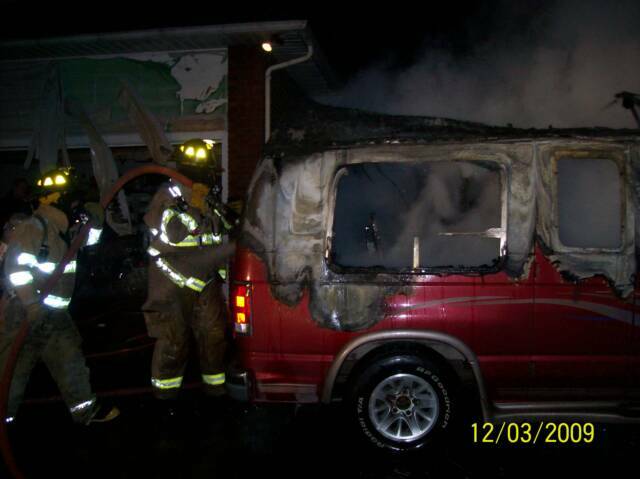 3/12/09 - WESTFALL TWP - At 20:27 hrs, Both Fire Station and Squad 39 were alerted for a vehicle fire on Heaters Hill Rd . 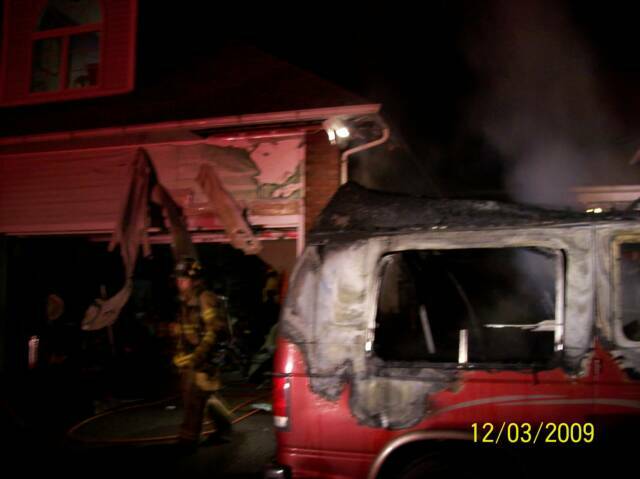 39-2 (Asst Chief Jacobs) arrived to find a fully involved conversion van in the driveway impinging on a residence. Engines 1, 2 and the Tanker arrived moments later knocking down the fire and checking for extension. Mutual Aid units from Box 39-03 were placaed on stand-by in their stations. 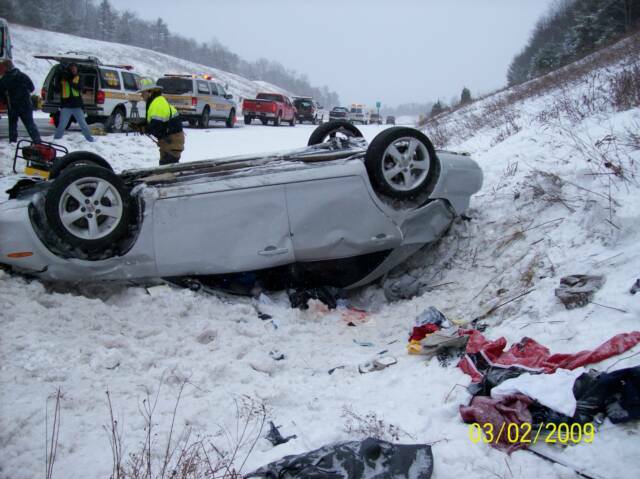 The van a complete loss and damage was limited to the only the exterior of the home Units returned to service at 21:58. 1/9/09 - DINGMAN TWP - At 05:10 hrs, 26 Command transmitted a 2nd alarm on Box 26-04 for a working structure fire on Southwynd Drive in Gold Key Estates. 39 Engine 1 and Tanker were requested to relocate to Station 26 for stand-by and were quickly upgraded to the scene. 39 Engine 1 established a fill site at the lake in Gold Key while 39 tanker shuttled water. All units returned to service at 09:12.